Christian Studies senior David White attended the Justice Conference twice before, so he knows how emotionally jarred Grand Canyon University students and staff might feel after this week’s event on campus. On campus, simulcast viewings will take place in the lecture halls at North Gym. 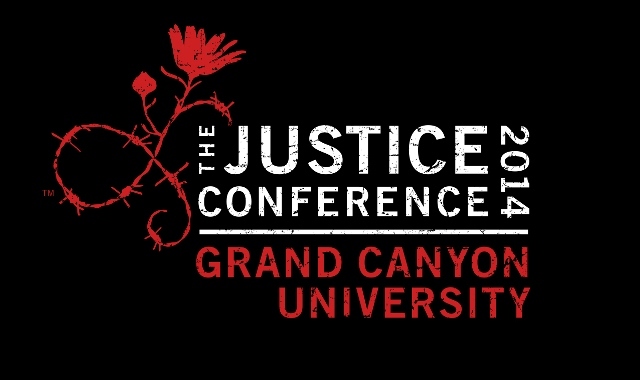 Visit www.gcu.edu/justiceconference for a detailed schedule of events. GCU is one of many partner sites around the country to further discussion about how Christians can understand justice-related issues and help effect positive change in their communities. White, 26, serves as a local outreach leader for the Office of Spiritual Life, which co-hosts the event with the College of Theology. He said the event was great fit for campus since GCU students demonstrate an ongoing commitment to understanding Christian social justice. Nearly 400 students, for example, signed up for international mission trips this summer — including those to underdeveloped countries where poverty and corruption are more widespread than in the United States. But from local outreach to worldwide missions, White said he sees his fellow students actively seeking ways to change the world for the better. “I really think a large portion of our campus gets this aspect of what it means to be a Christian and fight for justice,” said White, who overcame drug addiction and a felony drug charges in his youth to eventually give his life to God and, later, discover his path to GCU. His story will be detailed in the March edition of GCU Today Magazine, which hits campus the week of Feb. 24. “We’re not just talking about the problem or glorifying the issue, but we’re looking for a solution,” White said about GCU students’ interest in social and biblical justice. The Justice Conference was convened four years ago by World Relief, the global humanitarian branch of the National Association of Evangelicals. More than 10,000 people are expected to be involved in this year’s conference from the main site at the Orpheum Theatre in Los Angeles to simulcast partner sites like GCU. Saturday’s lineup includes Rev. Gabriel Salguero, who heads the National Latino Evangelical Coalition, and Dr. Bernice A. King, the youngest daughter of the Rev. Martin Luther King Jr., among others. Hiles emphasized that GCU students and staff would have the opportunity through the simulcast conference, and intimacy of the North Gym rooms, to engage in discussions that would enrich their understanding of justice. “While many Christians are concerned about personal holiness and righteousness, the Justice Conference harkens back to the prophetic call for societal justice found in biblical books like Amos, Isaiah, Micah, Deuteronomy and James, to name a few,” Hiles said. James 1:27 “reminds us that pure and undefiled religion involves concern for the weak, opposed and vulnerable, such as ‘orphans and widows in their affliction,’” he added. In addition to Christian speakers, the Justice Conference also features a film festival, poetry slam and performances by Christian artists such as Propaganda and Jars of Clay.